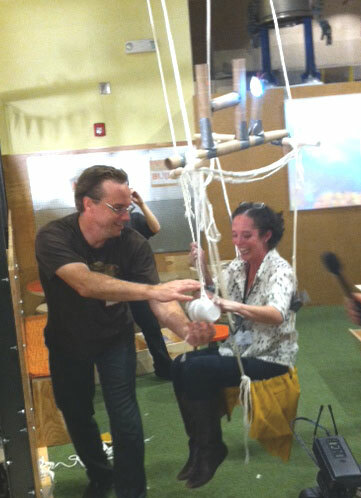 At the end of last month, Children’s Museum Board Members gathered at the Museum for a Board retreat. How do you get to know your fellow Board Chairs? By dividing into teams and having a “chair” contest of course! 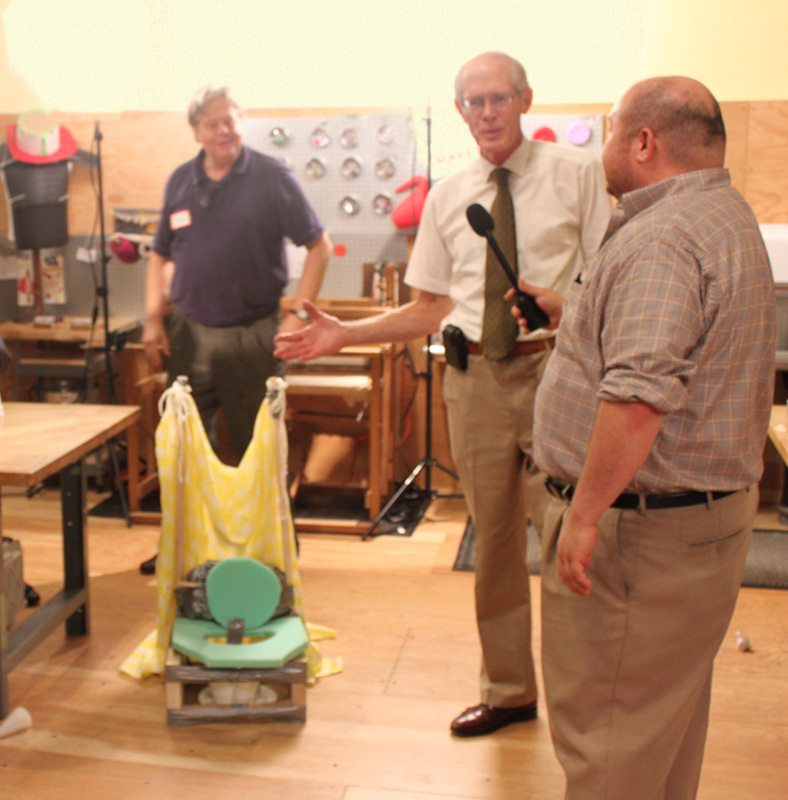 A MAKESHOP Challenge was presented to the group: Divide into teams of six and create a meaningful chair using a container of miscellaneous (recycled of course) items. Well what a creative bunch of Board Members we have! Team #1 created “The Royal Treatment,” devising a throne fit for a king or queen, and adorning the royal with a crown, scepter, crimson cloak and rose-colored glasses with which to see the pathway to a multitude of grants, sponsorships and donations for the Museum. 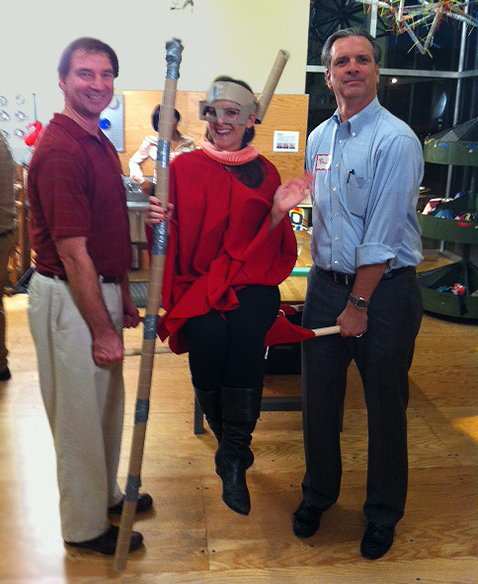 Gina Focereta Evans gets a lift from George Brzezinski and Board Member Bill Vallenta. Team #2 devised “A Royal Flush,” creating an environmentally friendly commode for a Board Member to sit and contemplate the many ways of non-profit giving. Board member George Cass describes Team #2’s creative effort to host Dave English while Bill Schlageter looks on. Team #3 produced “Swinging with the Royals,” a playful swing to inspire childhood fancy and encourage Board Members to help bring out the inner child in everyone. Board President Jen Broadhurst perches on Team #3’s swing while Teaching Artist Christian Tsu-Raun looks on. 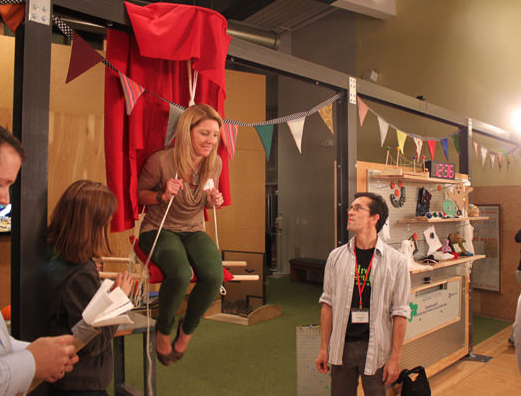 And last but certainly not least, Team #4 created “A Royal Hi,” a swing utilizing the Museum’s marketing brand of “Hi” to cleverly remind us to have high aspirations as we find ways to fund the Museum’s future. 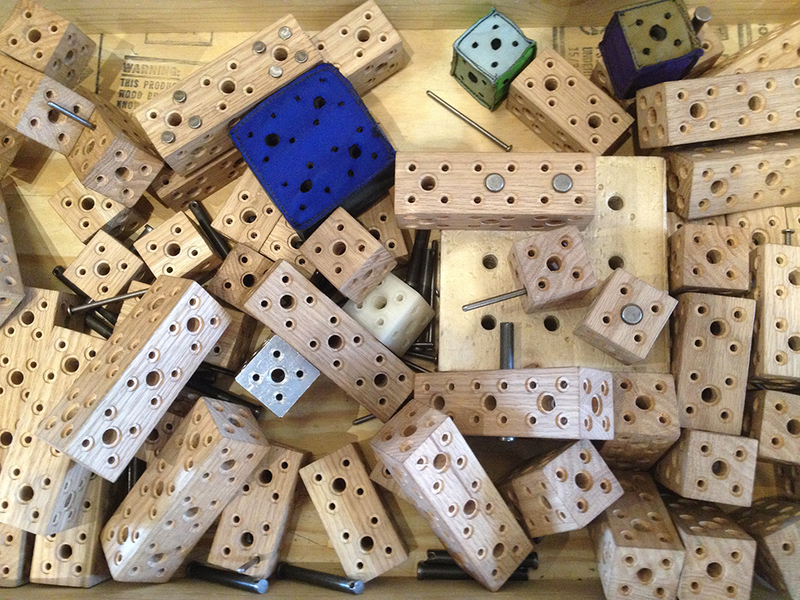 The evening inspired joy, creativity and curiosity – precisely the mission of the Children’s Museum. Chris Siefert helps Lisa Brahms steady herself on their team’s branded, and lit up, effort.